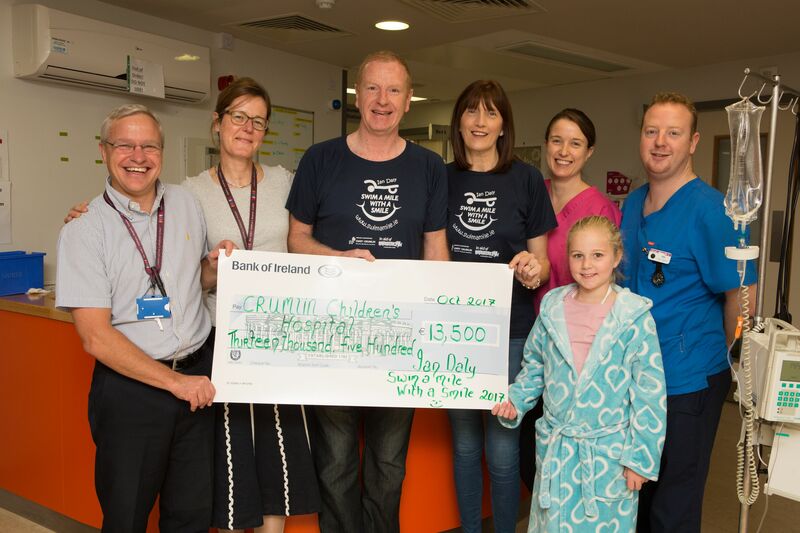 Recently, at a ceremony in Crumlin hospital, cheques totalling €27,000 were presented to representatives from Crumlin Hospital and Barretstown. 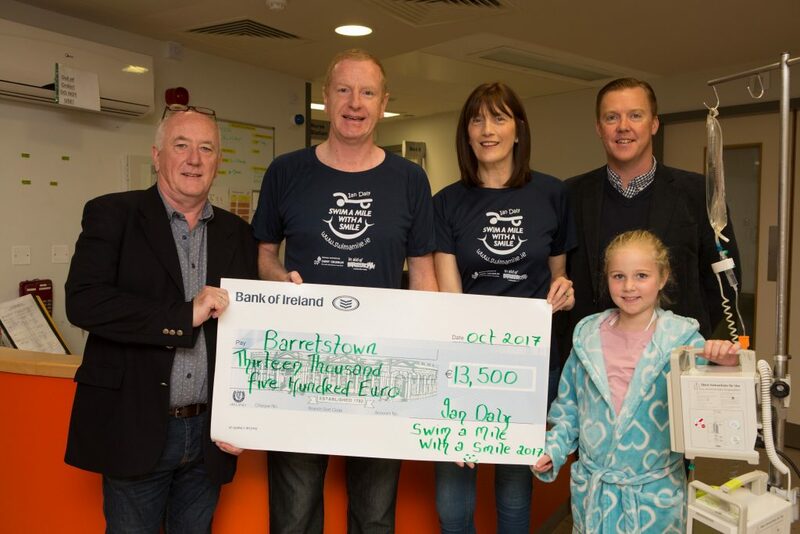 This was the sponsorship raised from the 2017 Ian Daly Swim A Mile With A Smile and brings the total raised since the swim was started in 2004 to over €552,000. 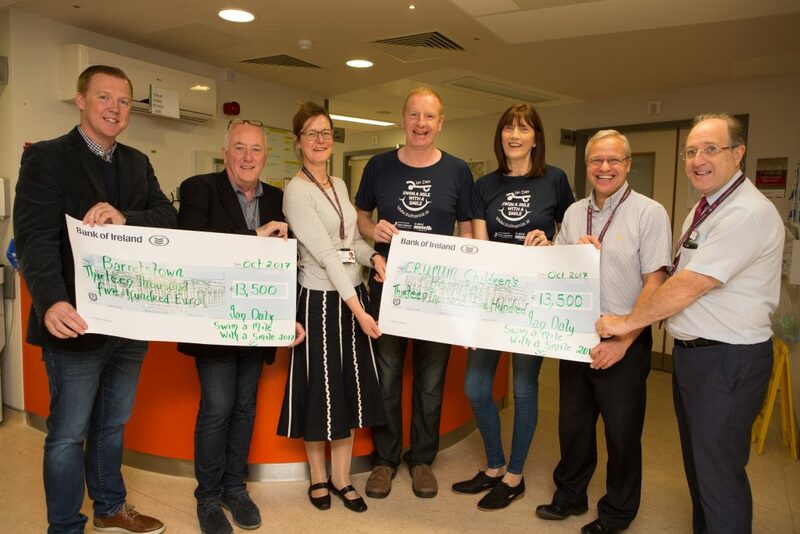 A big thank you to all our swimmers, clubs and sponsors for their support. The 2018 swim will take place on Sat & Sun 21st and 22nd April. We have again secured the use of the National Aquatic Centre [NAC] on both days. 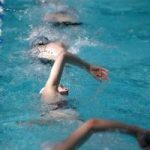 So if you wish to complete your 2018 swim in the NAC please note the dates in your diary. Booking details and times will be sent out in January.